Genre fiction is still strong: crime fiction (the lead proponents still being Deon Meyer and Margie Orford who both have a large international audience) and chick-lit/romance continue to dominate in terms of sales and popularity (as was noted by Christopher Warnes in his paper at the African Popular Cultures event at Sussex Uni in April, ‘Reading the South African Romance: Allegories of Empowerment’, which included an analysis of changes to the genre that reflect the government initiative of Broad Based Black Economic Empowerment – see Nollybooks and Kwela’s new imprint Sapphire Press). 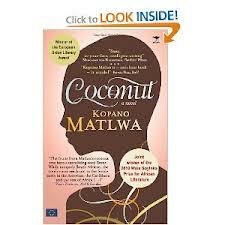 Lifewriting is also still strong – the significance of lifewriting in South Africa was impressed a number of times, as always important in a culture where lives have been made so inaccessible to each other. To genre fiction, firmly located in a South African context, we must add the rise of science fiction, with the buzz still strong around the international reception of Lauren Beukes’ Zoo City (Jacana Media, 2010): in 2011, Beukes became the first African to win the Arthur C. Clarke Award; the cover of the 2010 British edition of the book took the 2010 British Science Fiction Association award for best artwork, with the book itself shortlisted in the best novel category. Perhaps due to the international prestige of the Arthur C. Clarke and other prizes, and the ‘global’ reception of the book, people were very interested to know how Beukes’s novel had been received in Europe. I haven’t yet read it myself (I am very much looking forward to getting stuck in to my copy), but was aware of its wide acclaim for its originality and for Beukes’ skill. Quick to follow any mention of Zoo City was further discussion about the rise of sf in South Africa, and Africa, more generally, and its ‘new’ place in the already established bounds of the genre (surely ‘global’ is inappropriate here – ‘intergalactic literary production and reception’; ‘transglobal literary production’? ): there were the multiple Oscar nominations for South African co-production District 9; the debates in the aftermath of the film, particularly regarding the exploitation or benefit to the residents of Chiawelo , Soweto, where District 9 was shot, are reminiscent of those after Slumdog Millionaire – (see Sigurd Fandango’s images and an interview between Maryann Johansen and the film’s director Neill Blomkamp). Enlivening to hear the debate among South Africans, the majority of whom call Cape Town, site of the enforced removals of District 6, home, as it is to hear reactions to the content of the film itself. Interesting to note, too, that film rights for Zoo City were awarded to fellow South African producer Helena Spring (Red Dust, Yesterday, The First Grader) in 2011. Beukes plans to retain control over the script, and is committed to making the film in South Africa and to “doing it right” – look forward to the international release of that one and to seeing how it is cast. Outside of the Book Fair, but on genre fiction, at the Book Lounge – one of Cape Town’s pretty wonderful independent bookshops – I came across copies of the ‘zine, Jungle Jim (points to those who can point out the puns in its title – a clue: 1) part of a Southern African kids’ playground apparatus…). Set up by Jenna Bass and Hannes Bernard, Jungle Jim is a forum for genre fiction from across the continent: pulp-fiction stories from all across Africa are presented in this neat little product – I love it – cheap, bi-monthly, with its unique and distinctive aesthetic (see the instructions on website for how to ‘open’ a Jungle Jim), the stress is on the power of imaginative fiction and the possibilities of alternative vision. ‘Hunter Emmanuel’, a Jungle Jim story by Constance Myburgh (current pen-name of Jenna Bass), was shortlisted for this year’s Caine Prize (watch this space for more on Jungle Jim and the ‘little magazine’ in South Africa in future posts). Back at the Book Fair – very interesting to hear postgraduate scholar Sikophaze Jonas talking about her own experience of researching contemporary black women’s writing in South Africa, querying her own role, whether she, in trying to find a position for the black female writers’ voice, as a young, black scholar, who came to the Book Fair from across town in a public transport taxi and read her notes from her Blackberry – was herself being positioned as a representative for “a new voice”, and questioning the difficulties surrounding this; she described her surprise at, in 2008, how few black female writers she found (in 2008!!) and tackled the difficulties that surround language issues head-on, asking directly whether English is, has become, or can be “a valid” or “authentic black voice”, recognising very clearly the need for integration whilst insisting that first, this voice needs to exist, on its own terms, rather than employing imposed models for people outside of South Africa. (For Jonas’ article see SA Lit: Beyond 2000, ed.s Michael Chapman and Margaret Lenta, UKZN Press, 2011). I can see where the awkwardness lies in, and the necessity of, differentiating a white women’s and a black women’s voice – not only are the experiences different (been made different), but also the expression of those experiences: of the short list of the novels that were recommended at the Book Fair because they indicate and cross these kinds of problematics, all written in English by black South African women, what emerges most forcefully is how multiple and varied these voices are, how resistant to categorisation. 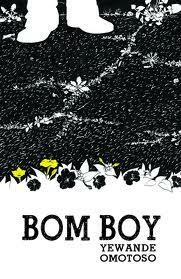 See Yewande Omotoso’s Bom Boy (Modjaji Books, 2011), a beautifully elegant, poised narrative about the adult experience of an adopted boy with cross-cultural South African and Nigerian heritage; Kopano Matlwa’s Coconut (Jacana Media, 2007), where the white-on-the-inside ‘coconut’ taunt is explored through the stories of two young black women – one living in a predominantly white, gated community, the other in a township, an orphan and a school drop-out; and Shameless, by Futhi Ntshingila (UKZN Press, 2008) which exposes the schisms and exploitative positions that accompany the enforcing of Broad Based Black Economic Empowerment, (also evident throughout Matlwa’s Coconut). The debate on multilingualism and indigenous languages was repeatedly raised: exhibits and stands showed English predominating, with some Afrikaans; there were some, but relatively few, predominantly Afrikaans publishers and booksellers. 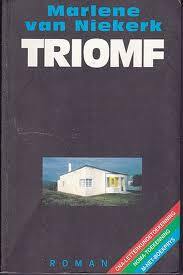 Discussions around Afrikaans texts focused on the changing status of the language and its relative vulnerability in the increasing dominance of English in South Africa, that its political liberation heralded a kind of an endangered status. For some, this is a radical and liberating position – Afrikaans can find its place in line with the changed environment – better able to express alternative realities and multiple positions and rid itself of the baggage of the language of the oppressor; for others, this is essentially an argument that they hear from conservatives, representing another form of closing off, a retreat into a disturbingly familiar, embattled position. 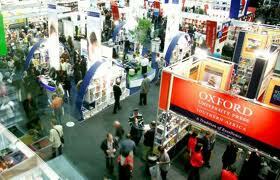 On the whole, it was acknowledged that Afrikaans texts continue to sell well, a number of publishers were clear that they out-sold their English titles, and that there isn’t enough need in terms of the national market for translations between English and Afrikaans – the languages in which books currently sell. 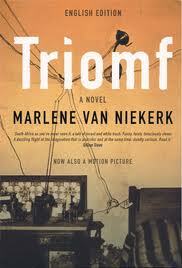 There is, however, a need for good translation and talented translators, for distribution into the international market: for some, this is the only opening into significant sales – Van Niekerk being a primary example – with both Triomf (1994, trans. 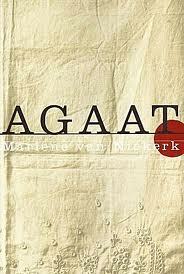 Leon de Kock) and and Agaat, (2010, trans. Michiel Heyns, who won the Sol Plaatje award for his translation) – the title translated to The Way of the Women specifically for the international market. Indigenous languages are evidently much more problematic for publishers in South Africa, and feed in to issues around the the size and range of the reading public, and questions raised about elitism and value; regularly, these difficulties were partly explained in terms of the apartheid legacy, but also, and interestingly, as a kind of systemic crisis of indecision about indigenous languages in tackling that legacy. 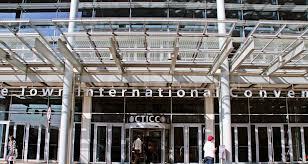 That said, there was evidence of some momentum in this direction, indigenous language writing initiatives from a variety of sources, the most successful of which seem to be coming through the drive to address literacy debates and promoting a reading culture; as well as through the use of indigenous materials coming out of the archive – such as the Bleek and Lloyd. One academic, Louise Viljoen, noted the similarity of issues in the struggle with identity construction in the face of overwhelming change in the material of both Zulu and Afrikaans poetry– and that both ‘scenes’ were enlivened by popular readings and slams, for which demand and interest grows. Certainly it was clear that people want to tell their stories: people are writing. But with this, there is a clear need to promote a reading culture and to disentangle literacy’s automatic equation with pedagogy – to continue to promote value in storytelling, alongside the value in the mediums of expressing those stories in their variety and range of possibility – and to show the possibilities that literacy holds for storytelling. 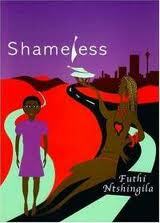 See the range of excellent work from Cover2Cover Books – a new publisher of teen fiction and the Harmony High series – ‘Our books are readalicious!’; Nal’ibali (isiXhosa for “here’s the story”), a national reading-for-enjoyment initiative; FunDza Literacy Trust whose work aims to boost literacy among teens and young adults in South Africa by popularising reading, building a community of readers and growing young writing talent; and the SA Book Development Council – and their new Indigenous Publishing programme – a few of the initiatives, among many, prominent at the Book Fair. Besides all the books that we have to add to our must read list and the deep envy of you for going to this book fair, something else called my attention: how beautiful these books are! These covers are really nice, and I reckon if someone is giving them the deserved attention! (I mean academically, of course). Maybe it is because my mum is a designer and since very little I have been into book covers, but recently I have found a academic support for this passion for covers. Reading Gilroy’s Black Atlantic for my theoretical chapter, Gilroy argues that we have to drop the Hegelian approach to human production that establishes a hierarchy between art and intellectual production. He call for the need to see the music made in the Atlantic also as an intellectual production; to understand not only the lyrics but the syncopes in the rhythm as part of this intellectuality. Using Gilroy, I started to read the Lagosian publications of late 19th century with this idea that I should not divide it in categories. Of course, Karin Barber had already given me many hints of how to read “better” Yoruba literature. On my post “Debate as a form of art” I explained how I think that besides the political/religious discussion, these debates are also art, debate for the debate, debate for the beauty of writing and the beauty of debating. But I think I should go further, and that is how it links to your post. I think I have to appreciate the art in the materiality of the book too. In the typesets, the drawings and in the cover, of course. I know I am rediscovering the wheel here, nevertheless it is still exciting! These covers are beautiful and they add so much to the books. How are they made? Who are these artists? Does the author have any say on this? 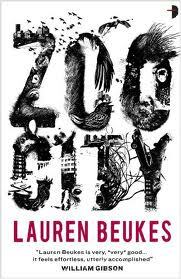 One of the things I wanted to share in response to your comment about the artwork of book covers, Nara, is the way in which Lauren Beukes highlights that the cover of her book *Zoo City* is an award-winner – in a very brief afterword that is placed immediately at the end of the story, Beukes comments, ‘* P.S. The same week this novel won the Arthur C. Clarke Award, I’m delighted to say that Joey HiFi’s cover won Best Cover Art at the 2011 British Science Fiction Awards!’. (Like a proper P.S. 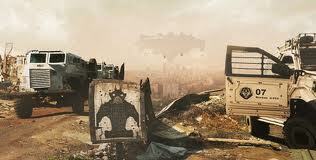 to the reader – like the novel has been a correspondence.) Nice. Also, how much I love the cover design for Modjaji’s books. Like the press itself, they are very distinctive, and make each book, as an object, a specific one; they are also part of a network of distinctively beautiful things. This strikes me as very clever (and I have it on very good authority that this is intuitive and not cynically so – less marketing machinery, more establishment of integrative support). Ivan Vladislavic’s last 3 books run in this vein – a photography/prose fiction project with David Goldblatt, *TJ/Double Negative* (produced by Goldblatt’s Italian publisher, Contrasto, in 2010) – this is an object that goes beyond the ‘coffee table book’ and makes Vladislavic’s novel a book that is also an objet d’art. *Double Negative* is released separately as a paperback by Umuzi, SA in 2011, with a striking cover; *The Loss Library* – a book of existing stories that never got written – illustrated by Sunandini Banerjee in hardback (Seagull Books – UK/India), released without illustrations in paperback (by Umuzi, South Africa); and *A Labour of Moles* (2012), a Sylph Editions ‘Cahiers Series, no. 17’ – very beautifully illustrated and presented. All the illustrated (and more expensive) versions are much easier to get hold of than the paperbacks printed for distribution in SA, which for Vladislavic’s work – hailed as South Africa’s next Nobel laureate – is amazing. 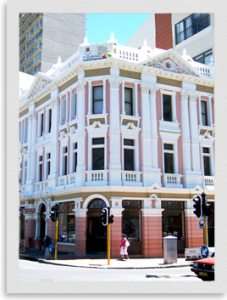 He’s very difficult to buy outside of SA, generally speaking. I will certainly be asking Jenna Bass aka Constance Myburgh of Jungle Jim fame, about the design aesthetic of their mag, when I interview her on this very blog, very soon. Although she doesn’t do the design herself, she is a filmmaker – there is a filmic quality to her narratives – and part of her biography is that she is a ‘retired magician’ – I think the visual and spectacular quality of Jungle Jim can be no accident with such a woman at the joint helm… their website is also gob-smackingly goodlooking. you’ve got the opportunity, Guess I will just bookmark this web site.